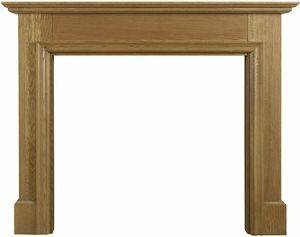 These Solid Oak (Solid Pine also available) mantelpieces come from the CastTec fireplace range and are normally only available through an authorised stockist, however, from time to time a small quantity of these mantels are rejected by quality control as slight seconds. As we want to find a decent home for all of these mantels, we are happy to sell these rejects less 50% off the standard Recommended Retail Price. Faults will be minor (no chips, dents or holes) and usually consist of knots, small scratches or a mismatch to the natural wood (for example, one part of a leg having darker wood grain than another part). These mantels may include wood pieces joined together in order to reduce wastage and costs but this is done sympathetically and we can guarantee that our mantels are solid oak or solid pine throughout and that no wood substitutes such as mdf are ever used. Mantels are available in a light oak or pine stain, but they are also available without a finish to enable you to apply your own stain or lacquer. 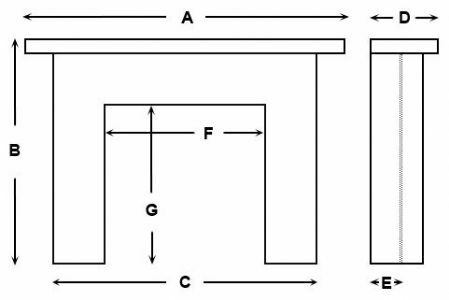 The manufacturing method of these mantels enable them to be delivered in flat pack.